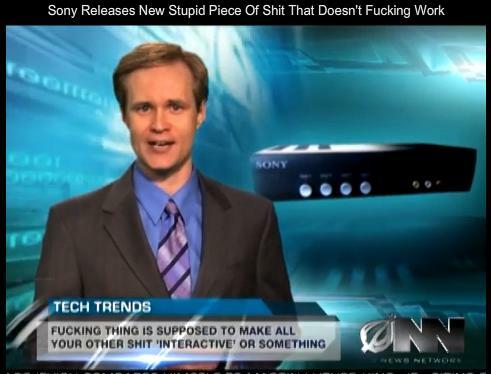 Several people have sent me the link to the Onion’s satirical take on Sony’s hardware, titled “Sony’s New Piece of S*** that Doesn’t F***ing Work“. As the title suggests, it’s NSFW, so be warned. This is symptomatic of a real problem for Sony. The Onion satire is wide-ranging and scatological, but it identifies a consumer frustration with complex, expensive and unnecessary gadgets which may be brilliant pieces of engineering but don’t quite deliver on their promises. Both the PSP and the PS3 run the risk of this problem, being high-spec, sophisticated hardware being outsold by simpler, more fun platforms like the Wii and the DS. In each case, Sony was trying to force the user to accept a piece of technology that Sony wanted them to have, not that the consumer was demanding (Blu-Ray for the PS3, the UMD for PSP). Meanwhile, Apple has bypassed the hardware format completely with the iPhone by relying on digital distribution, something that Sony (and to be fair, Microsoft’s Xbox) have been slow to embrace. Sony is suffering from an internal battle as Sir Howard Stringer tries to move it towards software and intellectual property and away from hardware and manufacturing. The Onion video suggests that he may need to win this fight more urgently than he thought. UPDATE: I’ve just read John Gapper’s blog at the FT, and he has just come back from trying out the Kindle 2, the new version of Amazon’s e-book. 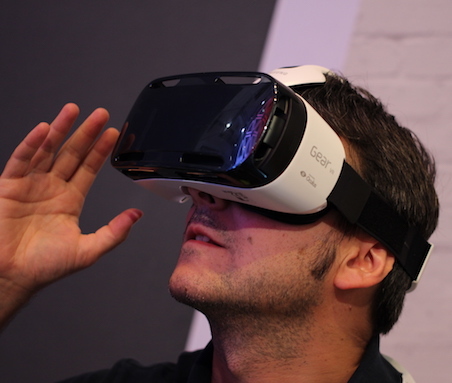 He says it’s better than the first version, but the real reason it’s beating the Sony Reader? So the iPhone is on track to beat the PSP because of the AppStore. The Kindle is beating the Reader because it seamlessly ties into Amazon’s retail offering over the web. Getting the message yet, Sony? 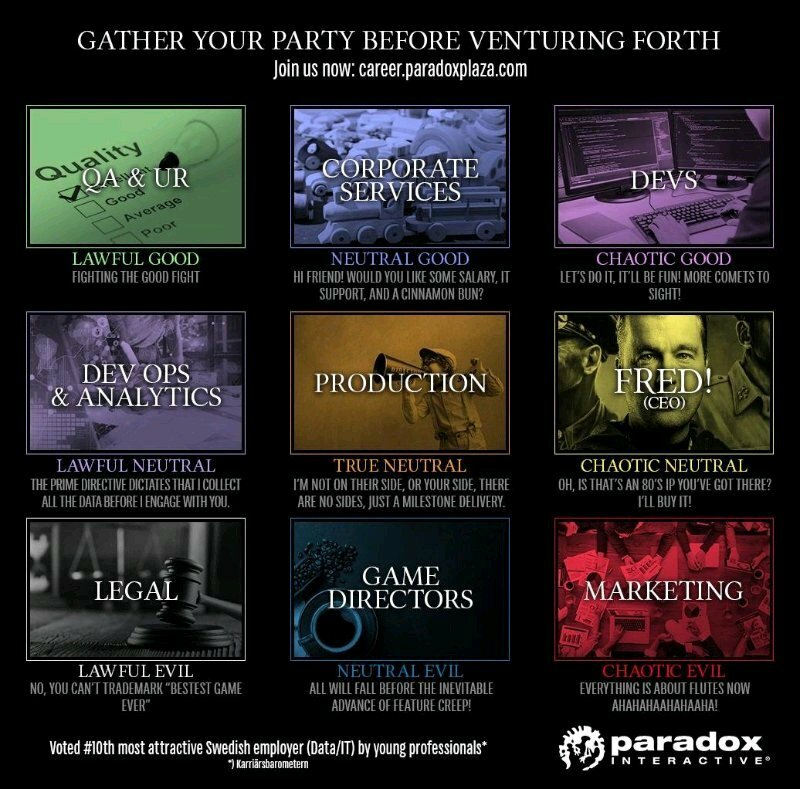 What is your games industry alignment? Chaotic Good?